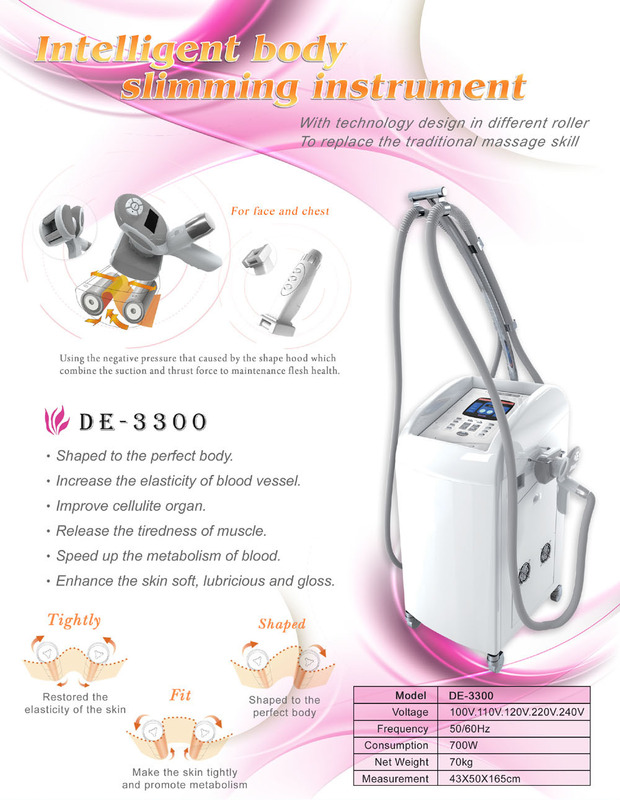 Taiwan Beauty Instruments (DE-3300) Intelligent body slimming instrument, Skin Care Machine, Facial Cleanser - Palifull Co., Ltd.
•Shaped to the perfect body. •Increase the elasticity of blood vessel. •Release the tiredness of muscle. •Speed up the metabolism of blood. •Enhance the skin soft, lubricious and gloss.